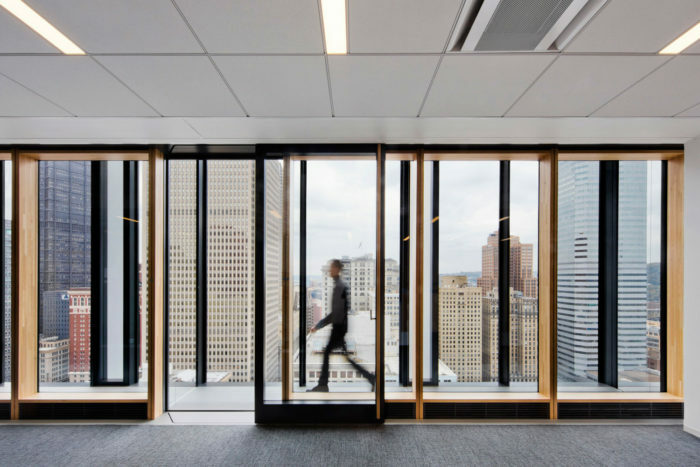 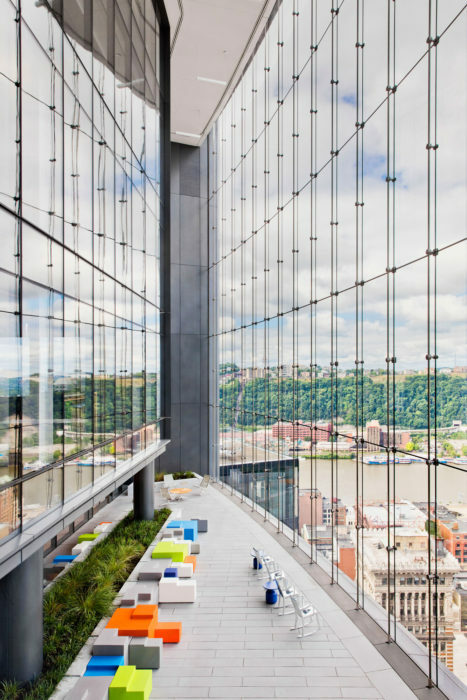 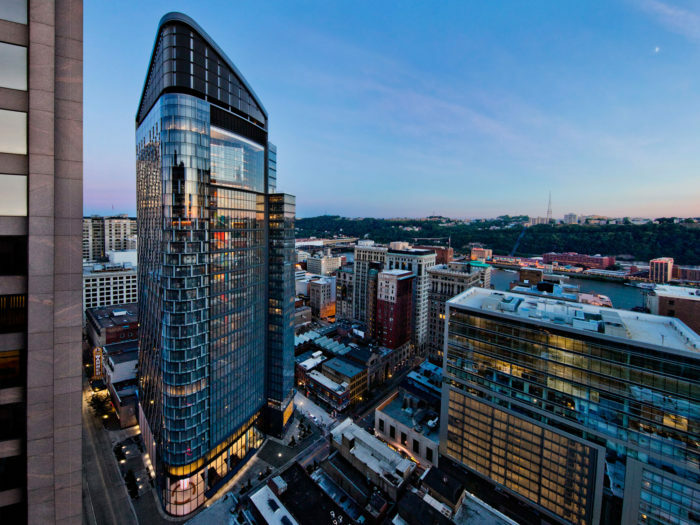 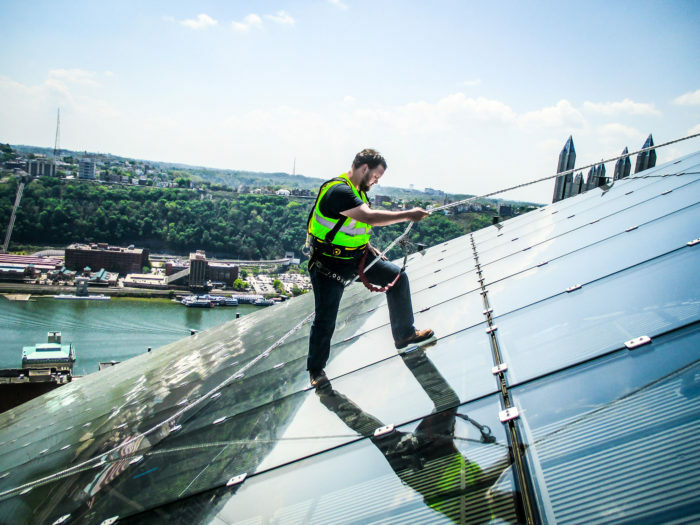 Designed as the greenest office tower in the world, The Tower at PNC Plaza features a number of ultra-high performance facade types in order to achieve the highest standard in sustainable office building construction. 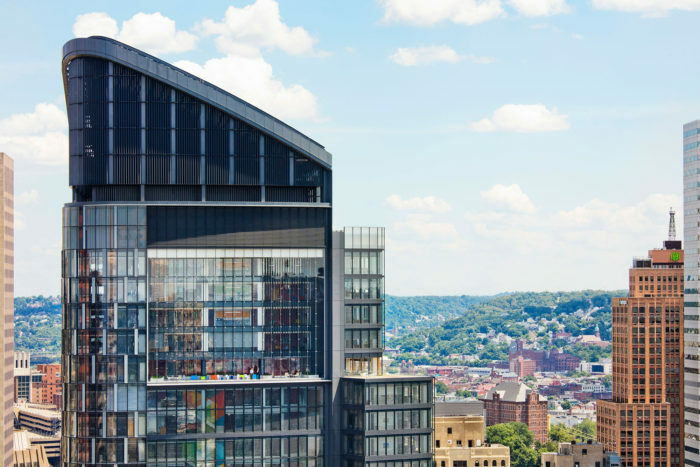 The 33-story building is home to PNC’s executive offices, housing 3,000 employees. 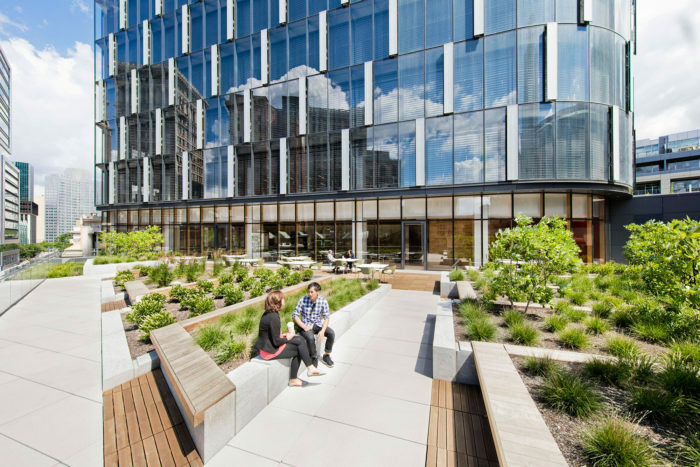 The tower is positioned in such a way to take advantage of sunlight in workspaces, reducing the need for artificial light during the day. 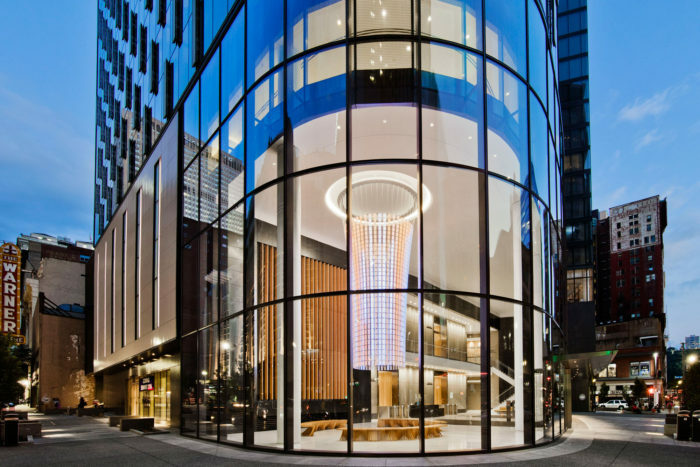 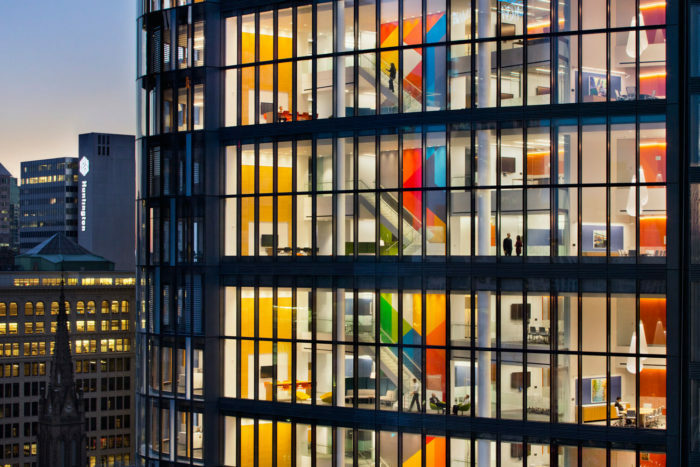 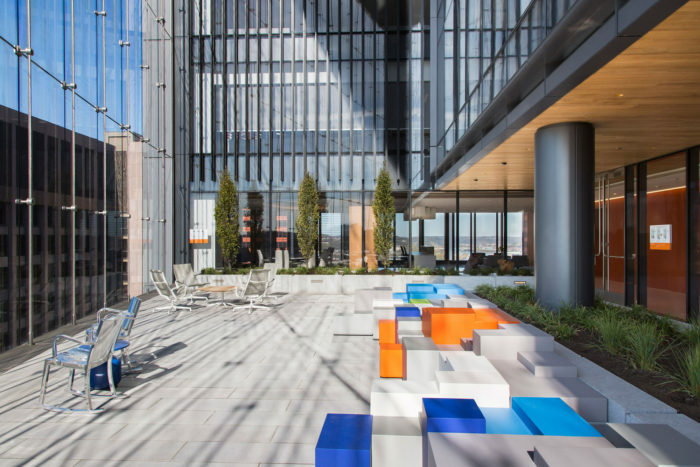 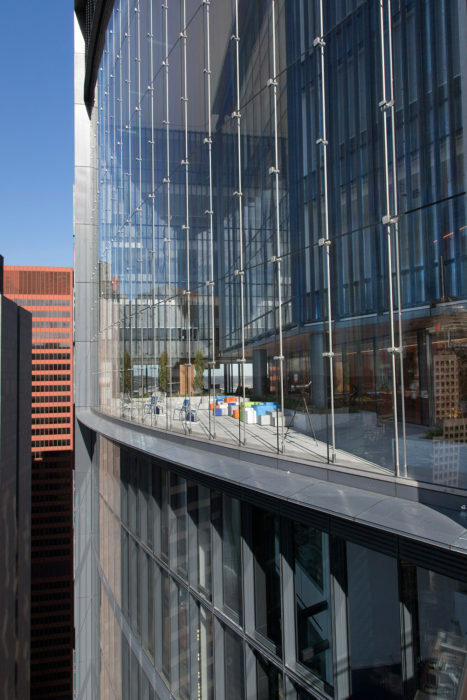 This highly-innovative office tower exceeds LEED Platinum certification, includes nearly 250,000 square feet of double skin facade cladding area and features full integration with the building’s mechanical systems and solar chimney, the first U.S. project to do so. 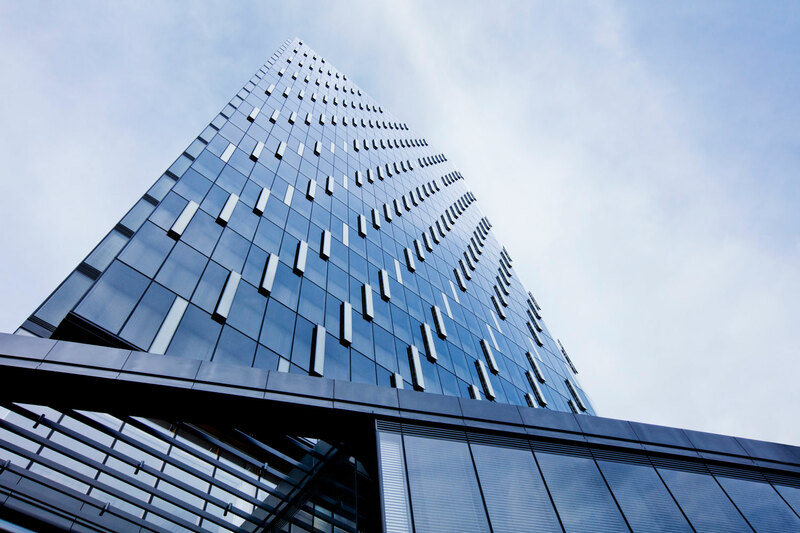 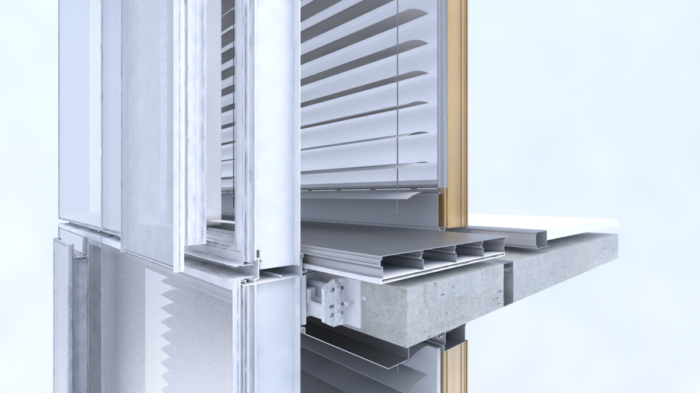 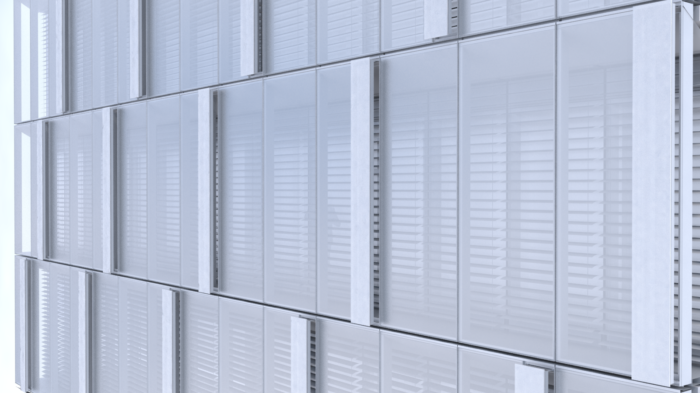 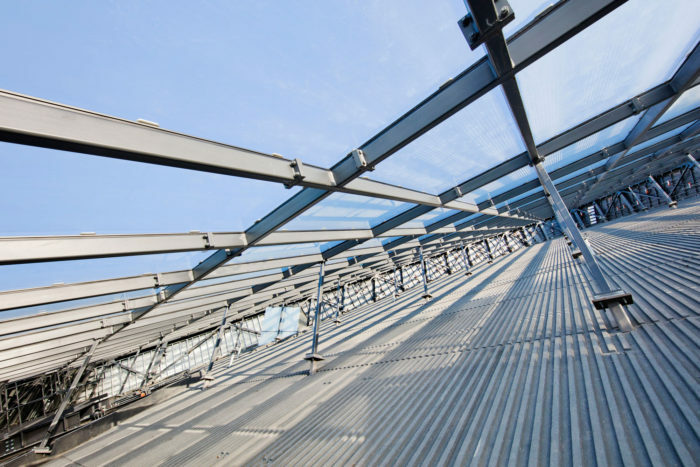 There are seven basic curtain wall types comprising the exterior enclosure of the building, three of which are distinctly different double skin facade designs. 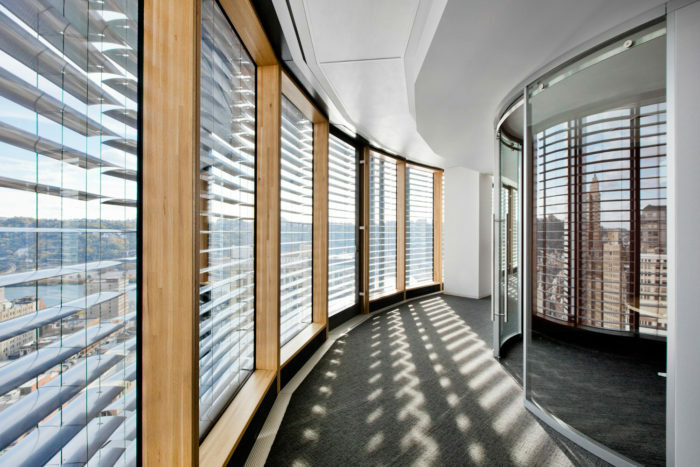 Wall types correspond to the different programmatic spaces within the building, to various solar exposures outside the building, and contribute in unique ways to the facade’s active role in maintaining the interior environment. 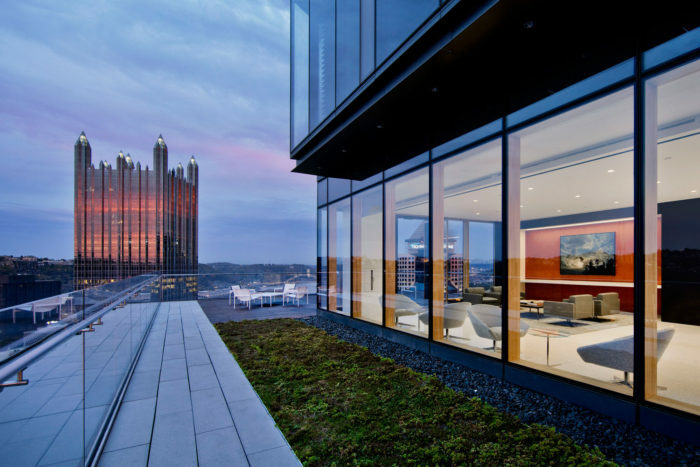 Photographs 1 – 11 by Connie Zhou; Photographs 12 & 13 by Chris Leonard, Gensler; Photograph 14 and renderings by Heintges.